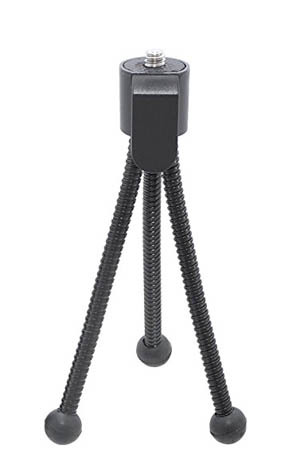 Do you have to get yourself a genuine Vidpro mini tripod? 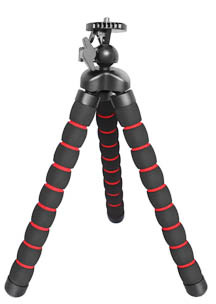 Or, are you open to other possibilities for a good mini flexible tripod for photos and video? The timeless question emerges again: should you go with the most well-known brand name or go with an alternative? You can get high quality copycats of the Vidpro or you can go for an entirely different design. They all have advantages and disadvantages. They're all quite affordable and can do the job for you. The vidpro can be used anywhere. Uneven surfaces of any type are no problem for this accessory. You can shoot at very creative angles and wrap one or more of the legs around a variety of objects. 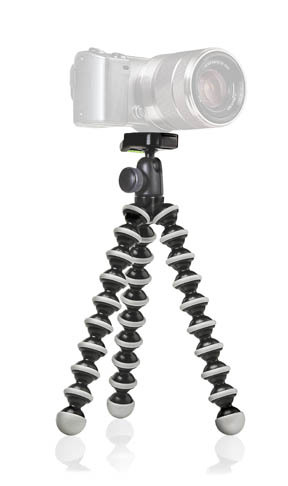 But what about those alternative chooses for mini tripods? Most of them will work just fine. 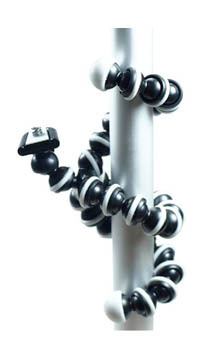 Mini tripods have dramatically improved in terms of their performance and usefullness over the last 20 years. Product innovations as the result of consumer feedback is a big part of the improvement. Photographers providing feedback, both through customer surveys and particularly social media, have pressured manufacturers and designers to improve the performance of cameras, lenses, and related accessories. Lengthy product reviews on retail sites like Amazon give valuable feedback to sellers. Customer comments can cause positive changes in all kinds of products. Some manufacturers will listen to the criticism and improve design or features. 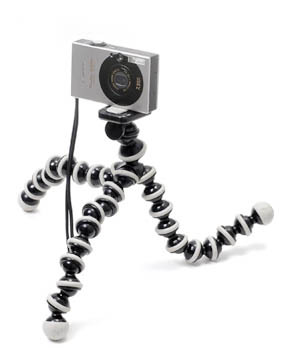 Reviews on flexible mini tripods are no different. Get the opinions of photographers who bought the Vidpro Mini. You can get a lot of information here on the site, but it's also valuable for you to read a large variety of consumer opinions too. The dimensions of the Vidpro are 6 1/2 by 1 3/8 inches. It weighs about 1/3 of an ounce. Although you can use one of these minipods with a small DSLR and a small lens, these tripods are better for compact cameras. 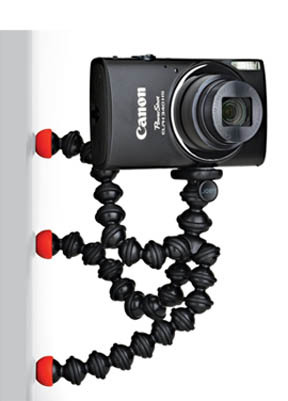 You can use mini tripods can be used for macro photography. This is particularly true when you are shooting outdoor macro and may need to be close to the ground. 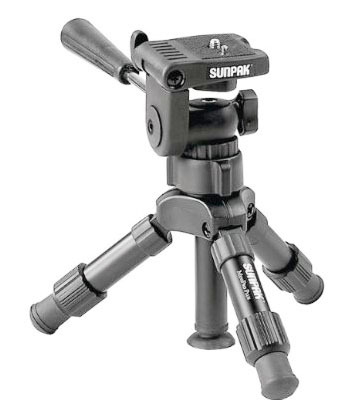 You can also get tripods that will serve your general needs and are also good for outdoor macro photography. The dimensions of the Gorilla SLR model are 10 x 2 x 2 inches and it weighs about 6 ounces. 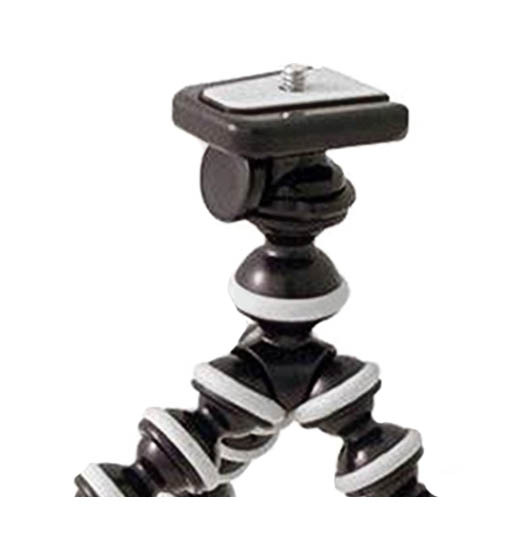 How about magnetic feet for your mini tripod? Some might call this gimmicky. Others may find it perfectly useful in the right situation. I'd say it is definitely creative. Size really matters. The difference between a true mini tripod and a Gorilla Mini Tripod. 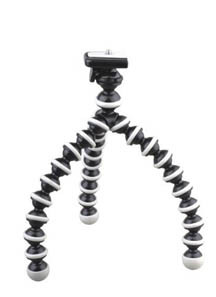 You can use your mini tripod for a cell phone camera, for holding a microphone, or even a video light. Three of my own sources are shown below, but there are a bazillion places to shop for your own mini tripod. You can use your on-line favorite or buy from a traditional brick and mortar location. If you buy online, you have a whole lot more choices. I do recommend you use Amazon to read the reviews. Amazon is THE KING when it comes to reading the unbiased (and biased) opinions of consumers on products. Have a blast with your photography/video. It's a great time to be in the market for digital cameras, lenses, and accessories. We have a huge menagerie of choices, plenty of places to buy, and good prices. 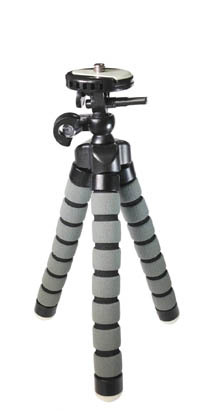 It's all about mini flexible tripod for digital cameras and tabletop tripods. Shoot more photos and video.